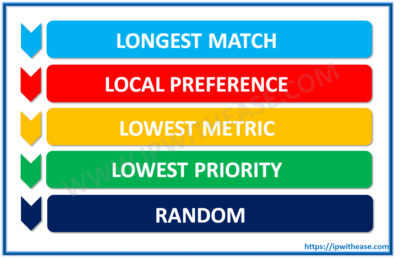 Local subnet (locally connected) is always given preference compared to subnets learned via advertisement. Lower the metric, more the preferred path. For e.g. – Network X.X.X.0/24 from device A with metric 30 is given preference compared to same network from device B with metric 40. This is also called Peer Priority. The device chooses the route from peer with the lowest priority. This is a configurable line items and can be configured under “Configuration” section. 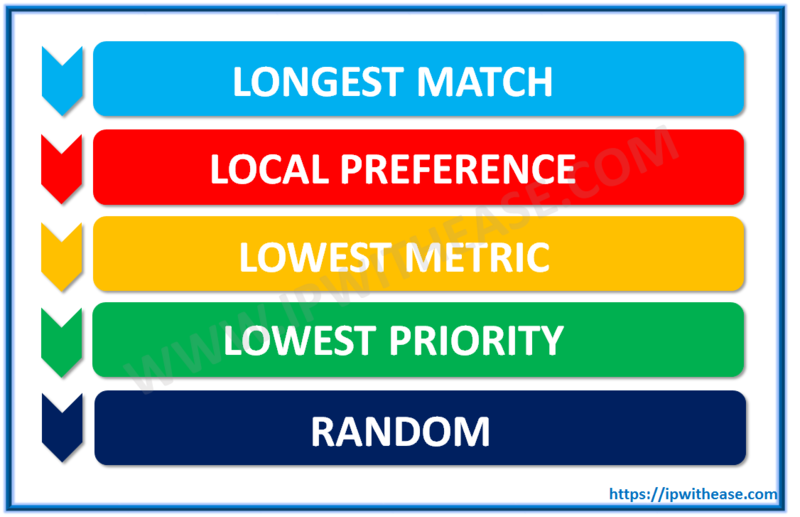 In case all of the above mentioned criteria are same or equal, path selection will be performed randomly.